Government support for research into new scientific learning and new technologies is crucial – and difficult to get. What little money is available is hotly contested among researchers. They fight to justify investing taxpayer dollars in projects that at times appear risky, but offer significant returns if they are successful – solving global problems, advancing human knowledge and improving economic development. In developed nations, national research and development expenditure is at most four percent of gross domestic product (GDP), including funding for industrial, military and commercial work. Israel, South Korea, Japan, Sweden, Finland, Austria and the United States lead the pack. Even so, scientists’ struggle for funding is commonplace. In France, massive research budget cuts have the scientific community raising its voice in disapproval. Research results and funding are two sides of the same coin: To get political backing for funding, researchers need patents and publications. In developing nations, scientists have an even more difficult task. Scientists working in countries without advanced manufacturing infrastructure and strong military programs have fewer opportunities to offer local benefits. And their cultures of science, technology and innovation are often not as developed. That leaves just one major incentive for government to invest in science and technology: improving scores in international competitiveness comparisons, like those published by the Organisation for Economic Co-operation and Development (OECD). 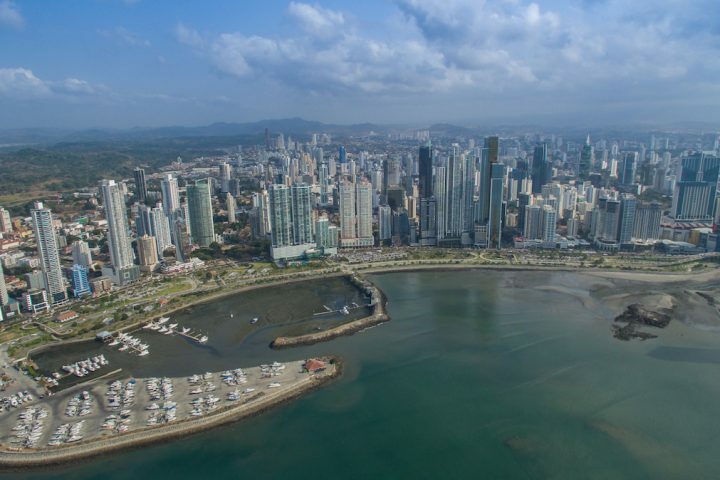 In Panama, where we work, there is a thriving service economy and sustained GDP growth. But since 2001, government expenditure for science has been a decreasing share of GDP. This research funding crisis may have dire consequences for Panama’s lofty ambitions to develop a sustainable scientific ecosystem. National investment in research has remained below 0.4 percent since 1991. In the late 1990s, scientific and political pressure pushed Panama to create SENACYT (the Spanish-language acronym for the National Secretariat for Science, Technology and Innovation). The agency’s search for funding began internationally, seeking loans from the Inter-American Development Bank for money to fund research grants, scholarships and other science programs. The goal was to strengthen the local scientific system and to lure Panamanians with science experience back from abroad to build their careers at home. In the mid-2000s, the country’s investment expanded to include an ambitious scholarship program helping Panamanians pursue graduate studies at top universities abroad. Most of them went to study in the U.S. and Spain, in areas related to biology, engineering and information technology. Since 2010, more than 200 newly minted Ph.D. graduates have returned to find little improvement to the country’s extremely limited infrastructure and funding. Rather than boosting a growing academic community, this new generation of scholars has increased competition for the scarce funding that is available to keep Panamanian science afloat. SENACYT had projected an increase of government funding to 0.6 percent of GDP would be needed by 2014 to support the returning talent. But today, it’s only 0.2 percent of GDP. In fact, the share of GDP dedicated to SENACYT science funding has shrunk since 2014. And in 2017, SENACYT’s budget will be no higher than it is this year – about US$33 million. The story is quite different in Costa Rica, a country with slightly larger population and GDP than Panama. Investment in science is around 0.5 percent of the GDP – still far lower than in developed nations, but much closer than Panama to the OECD Latin American average of 0.7 percent. Like Panama, Costa Rica does not have a defense program. But Costa Rica’s active manufacturing industry is a key driver of the country’s science spending. In contrast, the Panamanian National Plan for Science, Technology and Innovation for 2015-2019 forecasts virtually no private-sector research investment – at most 0.3 percent of the total amount spent. Panamanian government efforts to encourage private investment have not succeeded, because of the predominantly low-tech, service business culture, which seeks immediate profit rather than the long-term returns offered by research programs. Other Central American governments are even farther behind in backing science. For instance, research and development investment in Guatemala, Honduras, El Salvador and Nicaragua is still below 0.05 percent of their respective GDPs. However, support from international agencies in Germany, Japan and the European Union has helped provide funding. The EU also offers specific grants to Latin America, and a Central America-specific program as well. Panamanian leaders have struggled to understand the importance of science and technology in a country where economic growth has been steady with only minute investments in research. Today, however, the potential benefits of the investment already made in developing scientific talent are at risk. With scarce resources, scientists are forced to seek opportunities abroad – which could escalate into a national brain drain problem. Weak science investment forces returning scholars to become entrepreneurs and politicians, which not all researchers enjoy. In addition to doing scientific work, they must find ways to promote research in a country that has no definite political commitment to its long-term scientific development plan. A solution to this crisis will not be found in science. Building a truly viable science and technology sector in Panama – and across Central America – will require continuous political lobbying, cohesive planning and research spending increases proportional to economic growth. Beyond academic institutions, the promotion of a culture that embraces research and science will have to permeate industry, government, and the general public. The new generation of scientists is up for the task, but will they be heard?